Please note: The views here are from individuals at the meeting and are NOT official advice, nor views or recommendations in any way from NAS Greenwich branch. Please check the information, such as by using the NAS website. 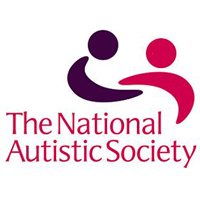 Branch volunteers Julie Raven and Claire Lindsey have attended ASD Partnership meetings in the past but recent meetings have been cancelled. 2. Julie will send Terms of Reference for this. It is important for us to have clear aims to get improvements for adults with ASC. We need to ask local councillors for help. We could survey branch members to get evidence for the key needs. 3. Once young adults with ASC leave college there is no support for them-even though their statement or Education, Health and Care Plan (EHC) is supposed to cover them until they are 25. A parent said ‘the world fell apart after age 19 and college ended’. 4. The transfer to EHC plans from statements is not going well with long delays. A young person should have transferred in Year 5 but has still not transferred in Year 9. Vital information was not passed onto the college causing health and safety risks. 5. Plans to transfer young people to adult life are NOT being made-despite this being a legal requirement for ALL young people with special needs/disabilities even if they do not have a statement or EHC Plan. 6. Mental health support for children is inadequate and seems to only be offered if a young person is in crisis. This leads to problems once they become adults. 7. Oxleas mental health services for adults are not suitable as staff do not have training in autism. Adults with ASC are offered group therapy or counselling with no allowances for their needs. 8. Parents need to be warned that they will have to be proactive in finding out about their legal rights , such as under the Autism Act and the Care Act and insisting that staff in the Council, social services and health do the right things to support adults with ASC. Parents cannot assume that Councils will do their duty, even though it is the law. 9. Employment support is needed. The Camden Society is a charity that works in Greenwich and can help arrange part-time college placements, internships and other support for those with ASC. If enough parents/carers and adults with ASC are interested we could invite Terry de Villiers from the Camden Society to give a talk to us on employment. 10. Parents were struggling to support their adult children. One parent was spending every day accompanying his son to a range of activities such as tennis and drama as otherwise the son would not be able to take part in any social life or exercise. Although it is very difficult, parents need to accept that one day they will die or become too frail to look after their adult children . Parents need to plan now. The earlier the better as once adults with ASC become settled in a pattern of staying in their room at their parents’ home it is more difficult to interest them in becoming more independent. 11. Parents said their adult child had been living in residential care , but that this had closed. They had had to make a lot of effort themselves to find an alternative place where staff were ASC trained. 12. Adults with ASC often struggle to manage money and other administration such as dealing with benefits, housing, official forms. One parent had now become an appointee for her adult child to enable her to manage money matters. Previously her son was having his benefits stopped due to his lack of understanding of official procedures. 13. One person said that it is important to claim Employment Support Allowance (ESA) under the ‘support group’ heading and not the ‘work group’ as this avoids being sanctioned for not understanding the procedures. 14. Personal Independence Payments (PIP) which replaced DLA are difficult to apply for unless you have correct advice. Careful wording is necessary to make sure adults with ASC are correctly assessed as many staff do not understand ASC and will assume a person who can physically walk etc. does not need support. A parent reported that his non-verbal child had been asked all the questions on the PIP form, taking no account of the fact that they were non-verbal. 15. Freedom Pass-Councils will often turn down requests from adults with ASC, despite the fact that they are entitled to a pass. With correct advice it is possible to get a Freedom Pass. The Carers’ Centre (The Stables, Hornfair Road, Charlton) are willing to give advice to parents /carers of adults about benefits. Greenwich Welfare Rights had only been able to assist by ‘phone. One person had found online chat forums helpful in getting benefits. 16. Council tax-one person said that they did not have to pay Council Tax as they had proved that they did not have the ability to vote. 17. GPs and hospitals should note that a person has ASC and that they should not be asked to wait in a queue. Adult Social Club every Monday 6-8pm Eltham with some outings. Ideas to improve these activities are very welcome. A different name is needed for the social club –it is better to focus on the enjoyable activities than on the social aspect. It would help to promote these activities if they seemed like safe places to go-for instance a picture of a cosy, welcoming space. A sensory room would be helpful. Adults with ASC often find it difficult to organise social events themselves-but they do enjoy them. Perhaps GNAS could help to set up some more casual events beyond the organised sessions. ‘Autistic Freethinkers’ meet at different venues-such as a trip to the Natural History Museum where people met at the museum entrance.